A New Halloween Release and Free Book! 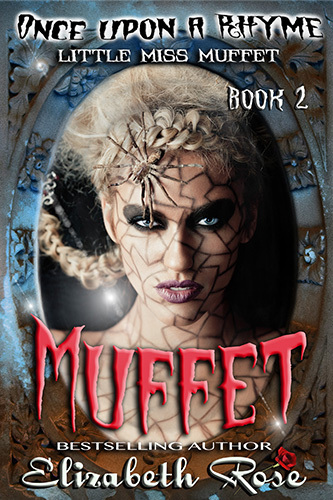 Muffet, Book 2 of my Once Upon a Rhyme Series has arrived! You will never think of nursery rhymes the same way again. A little spooky, a little mysterious, Candy Willowsby has a lot of secrets in her life. But when Patience Muffet (Little Miss Muffet) breaks through the realm of the dead and into that of the living, Candy is used as her vessel for revenge. Can a girl with a troubled life push aside the evil that threatens to consume her before it takes over her life? Only 99 cents for this special offer. 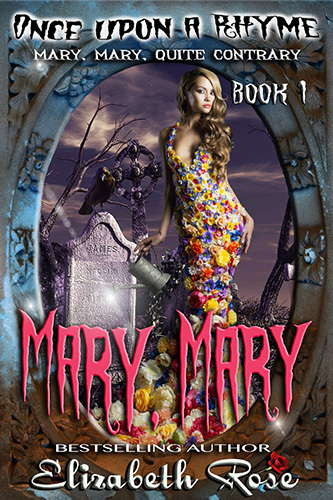 And from now through the 8th, you can read Mary, Mary, Book 1 of this series for FREE! I’m looking forward to my double release party on Friday, Oct. 5th and hope you will join me. I’ll be talking LIVE, giving you insight on the inspiration for this series, as well as talking about my other new release, Seductive Secrets, Book 2 of my medieval Secrets of the Heart Series. I have two pre-party contests going on. You can win a beautiful heart bracelet or a $5 amazon giftcard. The contests close at the start of the party tomorrow so be sure to hurry to the party page to enter. Did you know that I have a few new audiobooks that have been released lately? Most of them, you can get at a discount if you’ve already purchased the ebook. I am excited to tell you that Highland Secrets, Seductive Secrets, Legacy of the Blade Prequel, Lord of the Blade, and Pirate in the Mist are all now available for your listening pleasure. And in the makings of becoming audiobooks are Lady Renegade and Forbidden: Claude that will be available soon. Watch my audiobook page for updates. Don’t forget, if you like boxed sets, you can pick up Loyal Hearts for 99 cents, Stolen Brides for $2.99 and Swords and Roses for $5.99. Plus, I have a very special boxed set surprise coming for you near the end of the month, so watch your email. Hope to see you all at my facebook party on the 5th. I enjoy getting to know my readers and feel this brings us closer together. 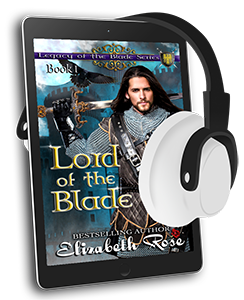 This entry was posted in audiobooks, Boxed sets, contest, Facebook Party, Free book, Medieval Romance, New release, Paranormal Romance, Scottish romance, Uncategorized by Lizrosek. Bookmark the permalink.